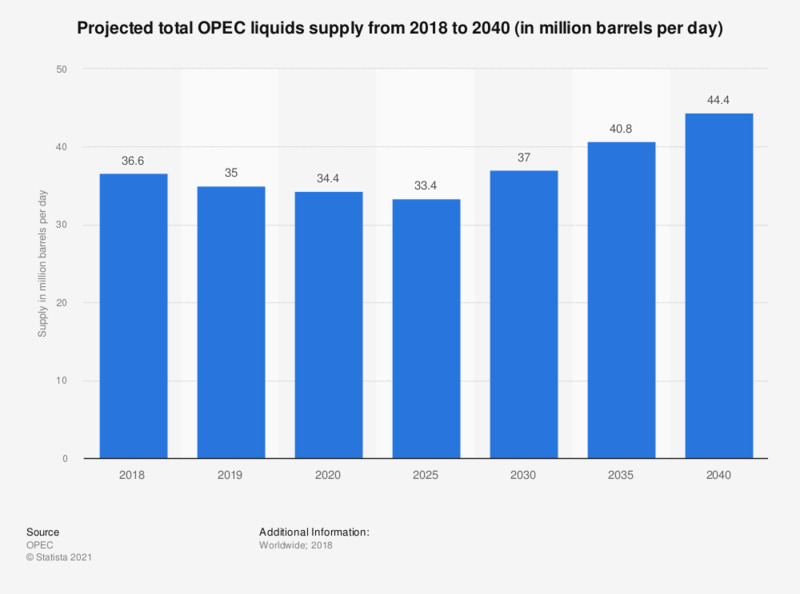 This statistic displays a projection of the OPEC liquids supply from 2017 to 2040. For 2017, the total liquids supply by the OPEC member countries is estimated to be some 38.9 million barrels per day. This figure is expected to increase up to nearly 49 million barrels in 2040. Outlook in the reference case.